You start a blog. Then realize you need to learn. A lot. And courses are getting pitched and recommended all over the place! Where do you start? If I’ve learned one thing blogging it’s that money should be invested. But the second is that you can find tons of great information for free. 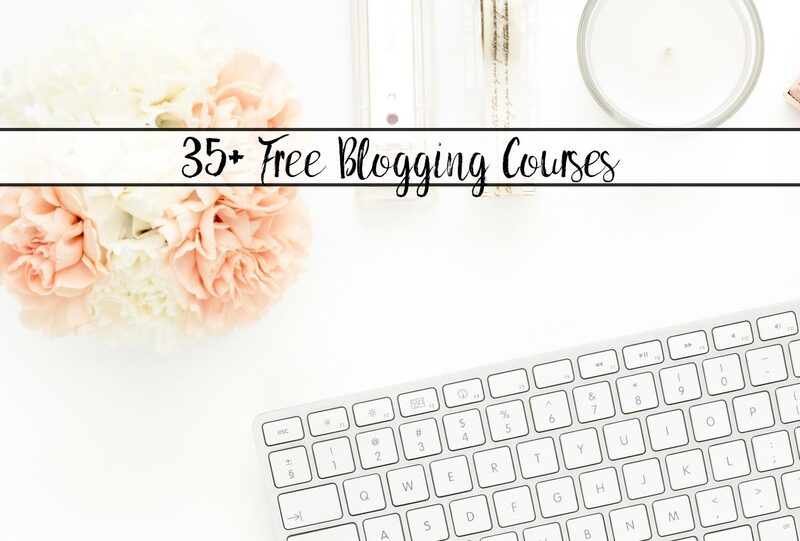 The list below is focused mainly on free blogging courses, but also includes a few blog posts, videos, and printables that are detailed and almost the equivalent of a course! 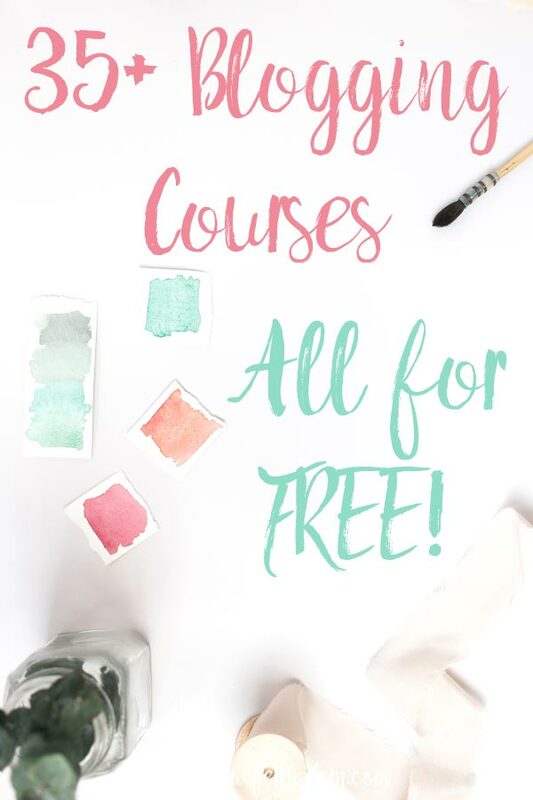 Keep in mind- when taking these courses- that many are sales funnels. That means they will have some promotion for a paid product within the course itself. My best advice is to think seriously before buying. It’s very easy to get sucked into buying too many resources and then never finishing them. Take the value given for free, then decide if you need more information. I tried to include courses that looked good, but haven’t had the time to personally watch all of these hundreds of hours of video. So, please (PLEASE), comment or contact me ([email protected]) if you find a course that is particularly spectacular or one that isn’t useful or is nothing but a sales pitch. Elite Blog Academy <<<Click there to get on the waitlist and get a great freebie! Sticky Blogging Free Course– 5-day e-mail course that teaches you how to get more traffic with fewer posts. I’ve personally taken this one! How to Start a Blog by me- not a course, but an exhaustive post that includes screenshots and free printables to help you through the process of setting up a blog. Sales Funnel Training by ConvertKit. Includes a lot, including: the 3 things creators do to grow the right email list + earn a living online, an actionable list building plan you can start implementing today, a step-by-step tutorial to get your list building system set up in 24-hours. List Building Training by ConvertKit. There will also be some free stuff given to you at the end of the webinar to help you get your first (or next!) 1,000 subscribers! E-mail Writing Webinar by ConvertKit. Learn: how to write emails that make people want to read + buy, 10 ideas for what to write, inspired by creators making a full time living online, and step-by-step tutorial to get your email writing system set up in 24-hours. Free E-mail Course by Kirsten Oliphant. Seven growth strategies that are working right NOW to grow your list, why people aren’t opening your emails, and what content people REALLY want to read. Product Creation Masterclass by ConvertKit. (waitlist). I took this course last year when it was open and it was amazing! I learned everything that I learned in a course that I paid for. Made me regret spending the money! Product Launch Formula by Jeff Walker. I took this course. He spends a lot of time on introduction…but once he gets to content, it’s great. I’ve seen the formula recommended elsewhere and have followed it myself. Launch Your Online Course by Teachable. Since they run the teaching platform that a lot of courses use, I can almost guarantee two things: there will be good content and they’re going to pitch their platform. Working with Brands by Jenny Melrose. I’ve taken plenty of her free content, and it’s always fabulous. Understanding WordPress Course by Grayson Bell. If you feel you need help in navigating WordPress, this free course is a great place to start. Basic SEO Course by Moz. If you’re wondering what the term SEO even means and why it matters, this course is where to start. Keyword Master Course by Authority Labs. While I personally recommend Mangools for keyword research, take advantage of free training where you find it! Since they run a keyword program, they’re going to pitch their product throughout the seminar…but they also should know what they’re talking about when it comes to keywords! Google Analytics for Beginners by Google. HubSpot Learning Center. They have a ton of different learning programs/little classes. I haven’t actually tried any of them yet, but they look interesting. Most are marketing bases- such as Facebook marketing, e-mail marketing, etc., hence me including them in this section. Graphic Design Mini Course for Beginners by Kristen of AppleCart Lane- I’ve personally taken this one and it is amazing! A lot of little tips with examples that add up to fabulous designs. Whew! I hope you’re not overwhelmed. I suggest taking the courses one at a time. Don’t sign up for everything at once. If you like this post, make sure to sign up for my newsletter below. 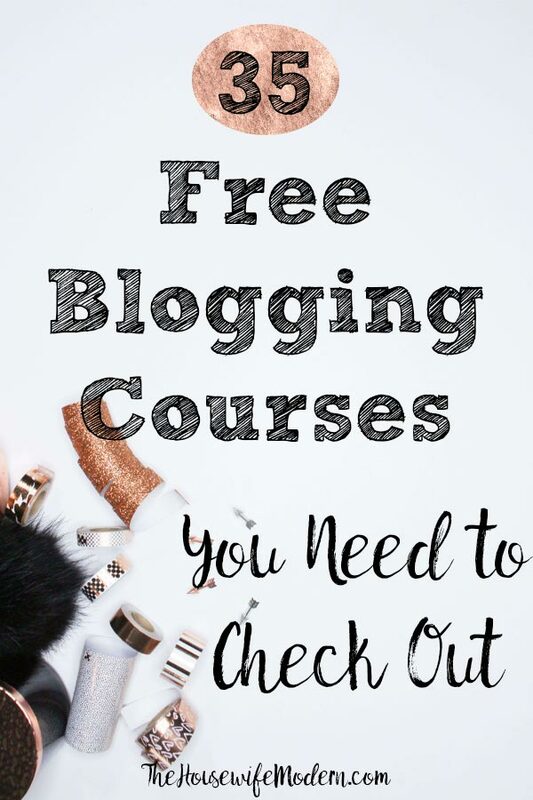 While every newsletter includes a free printable and recipe, I often include blogging resources and information for bloggers. 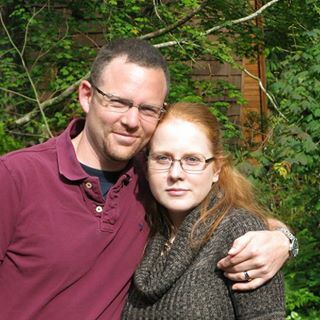 And check out my “Blogging Resources” page!